The Moto Collection by Taylor Stitch - Fall 2017 | Valet. The team behind San Francisco-based Taylor Stitch aren't fussy designers who never leave the city. They're the type to wear-test everything they produce and aren't afraid to put their purpose-built wares through some high-stakes trials. 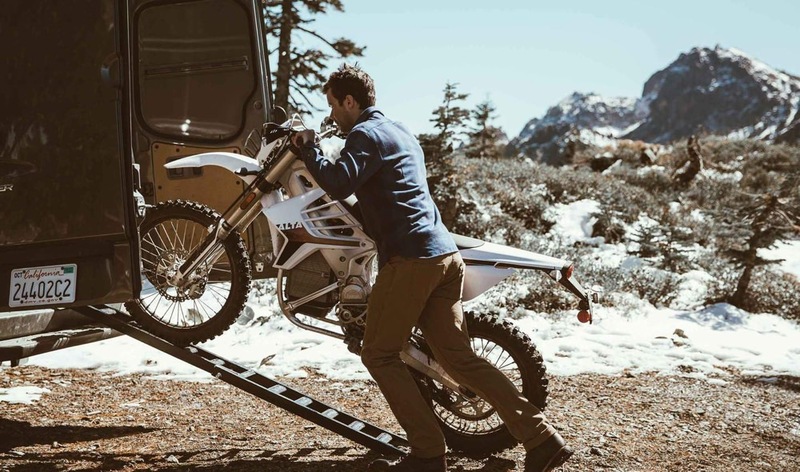 Like throwing on their new Moto Collection and heading up a mountain for a rowdy weekend racing motorcycles through the granite towers of the Sierra Buttes. It's that kind R&D that produces such badass pieces. Like the trio of Moto jackets—a recreation of an old racing jacket. The original is a family heirloom that's more than four decades old. 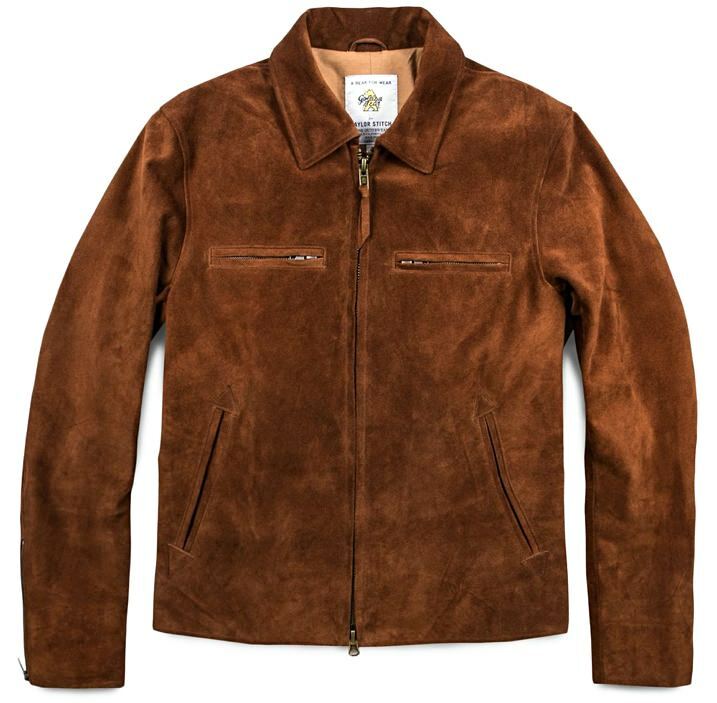 They retraced the original back to Golden Bear, who has been crafting quality outerwear right around the corner from Taylor Stitch's headquarters since the 1920s and who still had the hard pattern on file. They updated it ever so slightly and we called the result "the perfect leather jacket." For the fall, they're offering it in black and whiskey brown leather along with a supple suede coated with a durable water repellent that keeps the leather incredibly soft and breathable but the winter elements at bay. 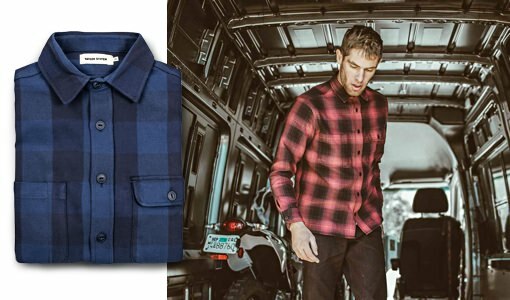 Other highlights in the collection include the chain-stitched plaid utility shirts, complete with reinforced side gussets, two chest pockets and custom painted metal catseye buttons. 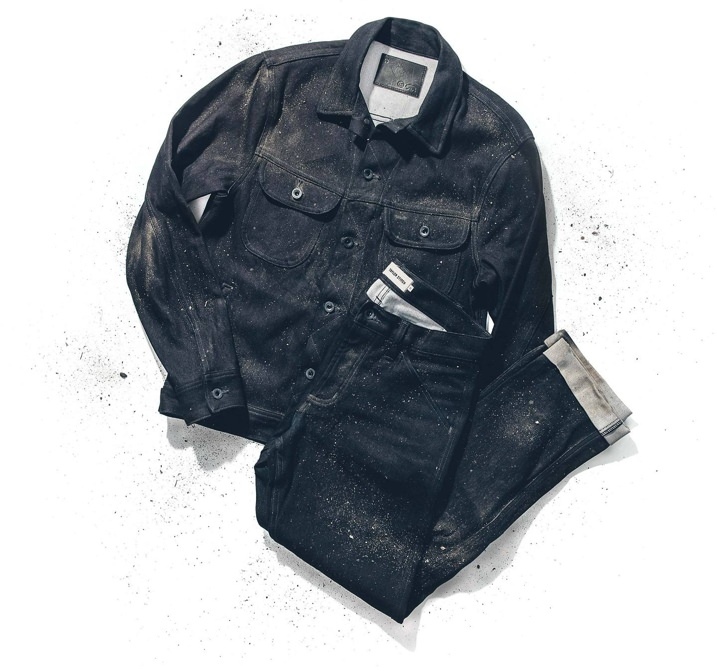 Plus a denim jacket and jeans woven with the "World's Strongest Fiber™", a breakthrough stretch fabric with seven times the abrasion resistance, durability and tear-strength of your standard denim. And if you grab them, or anything from the collection during the pre-sale, you get a pretty sweet discount too. Follow along as Taylor Stitch hits the Pacific Coast Highway in a vintage truck looking for adventures. Spend your money wisely and look great this fall. It's a win-win.